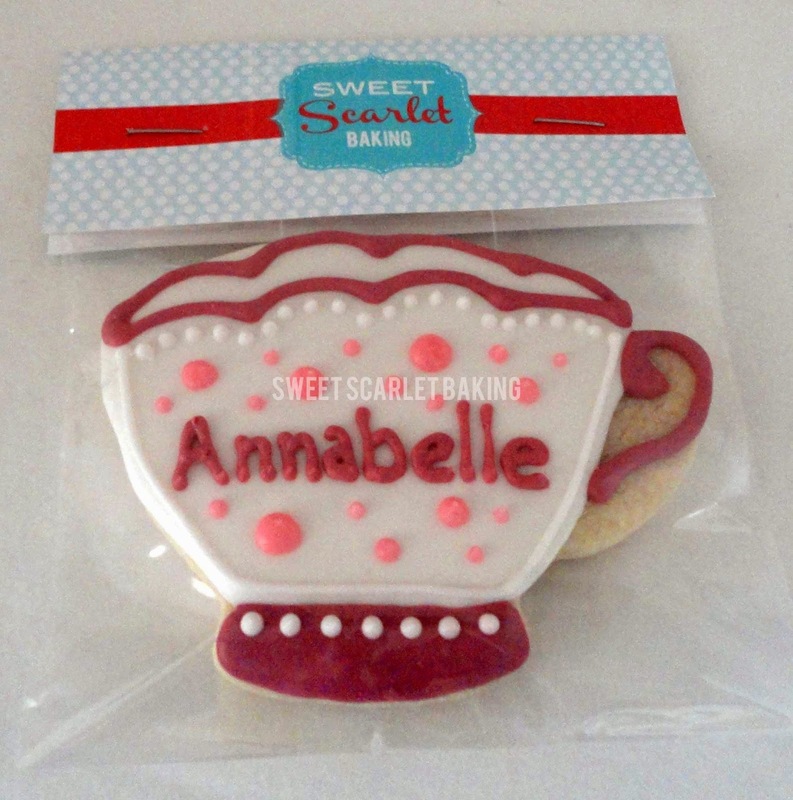 Sweet Scarlet Baking: Spot of Tea? 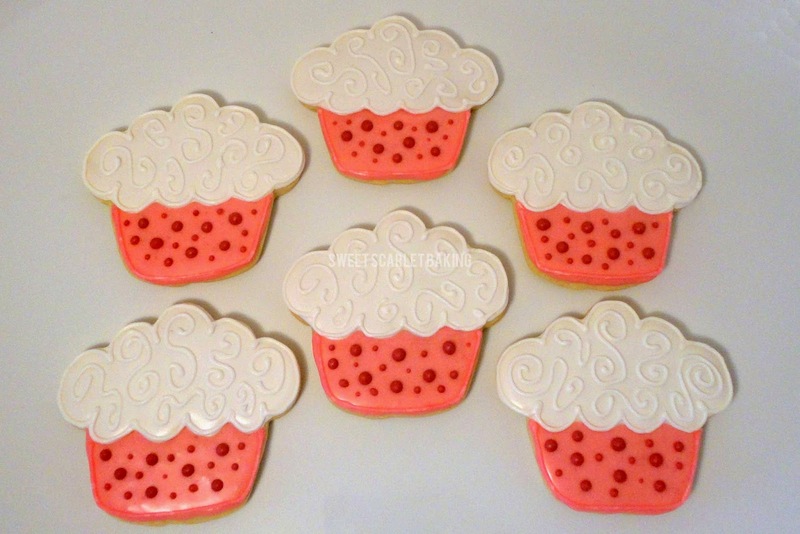 and wanted some sweet decorated sugar cookies to enhance the celebration. and the party guests to enjoy. So, I planned my design to match! 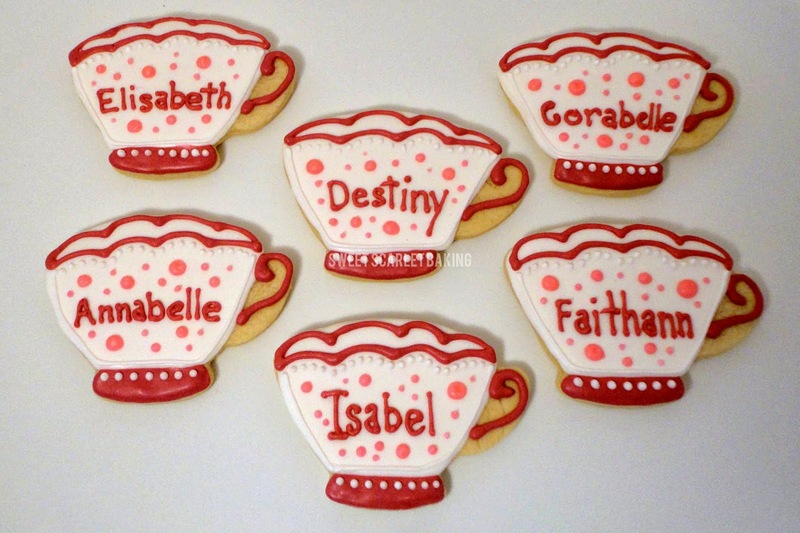 with the party guests' names. 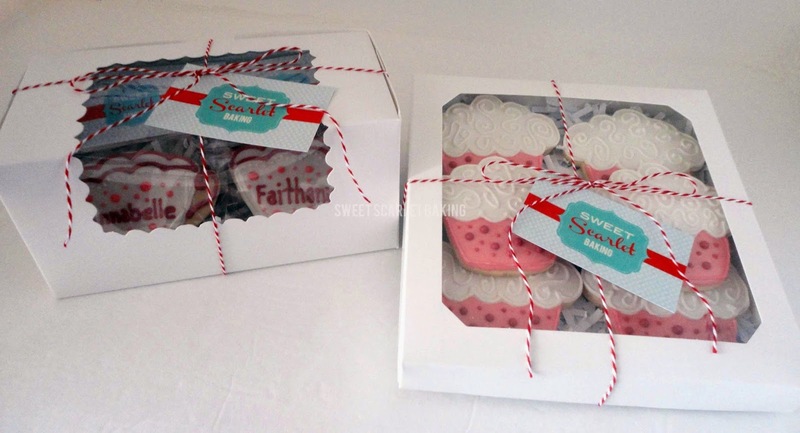 The pink cupcakes with dark pink polka dots coordinate with the tea cups. 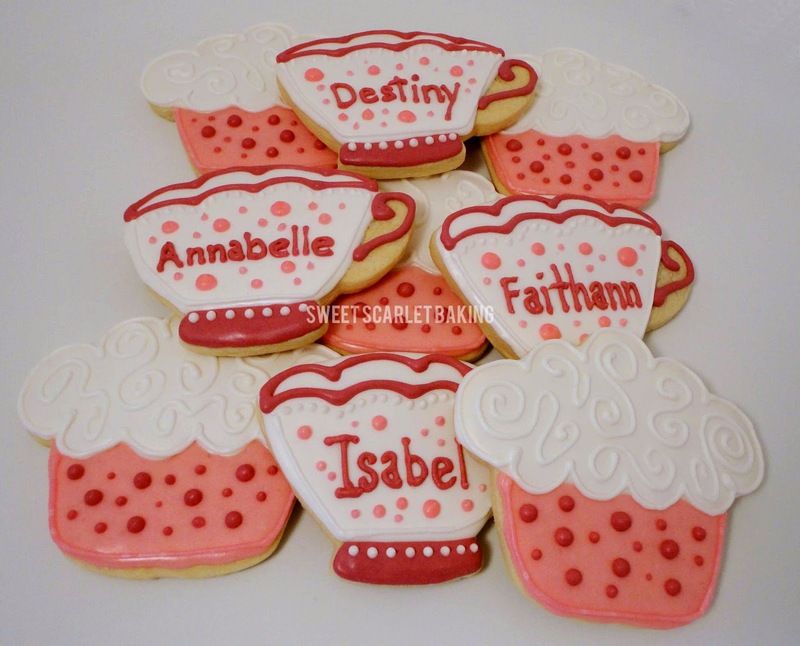 and the tea cup cookies went home with the guests as party favors.